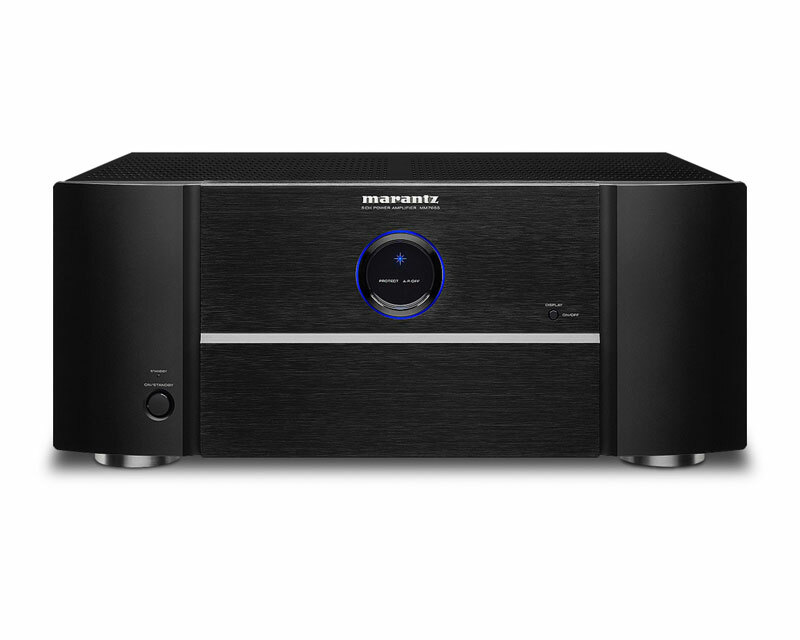 Ideal for adding power and audio fidelity to a 5.1 home theater system, the Marantz MM7055 5-Channel Power Amplifier produces 140 watts of high-current output from each of its 5 channels. Balanced inputs and single-ended RCA inputs are both supported, while gold-plated, four-way binding post speaker terminals ensure tight connections to your choice of speaker wire. Use the amplifier to power speakers in different rooms simultaneously and enjoy a powerful audio experience throughout your home. Audiophile grade, gold-plated speaker terminals ensure tight connections. View larger. Add the MM7055 to your 5.1 home theater setup for powerful surround sound. Sports an elegant, classic Marantz design. This 5-Channel Power Amplifier from Marantz combines power, functionality, and dependability in a sleek chassis that fits nicely into your home music or theater system. Rated at 140 Watts per 5 channels, the MM7055 is capable of long-term power delivery into low-impedance speakers. The amplifier lets you take full advantage of movie soundtracks and music, providing seamless, natural audio performance–even at high volume levels. 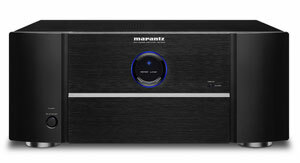 The MM7055 is ideal for a 5.1 home theater system. For more complex home theater systems, the MM7055 pairs with one or several MM7025s (sold separately) to help create an immersive 7.1 or 9.1 audio experience. Stereo reproduction is available for two rooms while a mono channel can be used for secondary areas that don’t get as much foot traffic. This allows you to go from the living room to the kitchen without interrupting your listening experience. The MM7055 is equipped with an expansive power supply that includes a multiple-secondary EI-core transformer and over 65,000 ÂµF of custom-designed energy storage capacity. Circuit components for the unit, such as the LAPT Hyper Power output devices first developed and used in the Marantz Reference Series, were chosen to bring you optimal quality. Additionally, current feedback topology ensures astounding accuracy and control under high-drive conditions. For easy and flexible connectivity, the MM7055 supports both balanced inputs and single-ended RCA inputs, allowing you to choose either type of input for each channel, individually. Audiophiles will appreciate the gold-plated, four-way binding post speaker terminals, which ensure firm connections to your speaker wire. The MM7055 employs innovative design to maximize audio quality, reliability, and user-friendliness. For efficient heat dissipation, the amplifier’s output stages mount on an extruded aluminum thermal tunnel with temperature-sensing forced air cooling. This configuration assures cool operating temperatures for long-term reliability, even when you’re making full use of the amplifier’s substantial output capabilities. For total remote control convenience, the MM7055 includes input and output jacks for DC trigger pulses as well as RC-5 jacks. The chassis of the MM7055 is a heavy gauge steel that enhances both form and function. The sophisticated looking steel housing gives the amplifier maximum isolation from external vibration while excluding electromagnetic and radio frequency interference, so you enjoy clear uninterrupted sound. With a chassis depth of less than 14.5 inches and a classic front panel appearance featuring an illuminated porthole display, the amplifier has a minimal footprint and fits easily on a shelf or in a cabinet. Marantz MM7055 5-Channel Power Amplifier, detachable power cord, and owner manual.